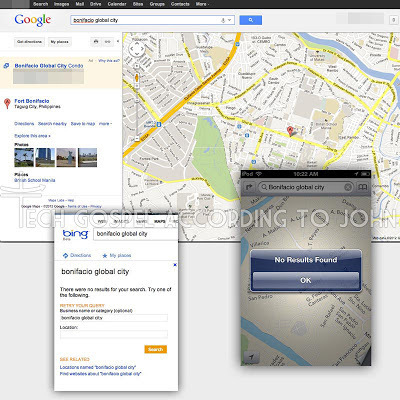 A lot of buzz surrounding the whole Apple Maps issue. A lot of people say it's hardly noticeable, for others... disastrous. On this side of the planet, here in the Philippines... this is the situation. I tried being fair, entering the name of a popular city rather than some obscure street. These were my results each with the same search parameters simply entered in Google Maps, bing maps, and iOS Maps. Only Google knew of the city. What are your funny map app stories unique to where you live? 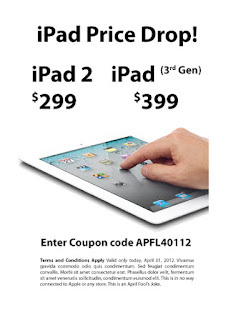 Ok, I was gonna post something about the iPad mini but this caught my eye. Apparently, Volvo is introducing a new "Traffic Jam Assistance" system that can handle start-stop traffic. Uh huh... yes Volvo... we trust your automatic braking systems. Because they've worked soooo well in the past. I think the last thing we need is more convoluted systems (that WILL fail) that make drivers less aware of the responsibility of driving. This is how it's SUPPOSED to work. This is how it actually works. Watch on YouTube. At least the wipers work... Hahahahaha! 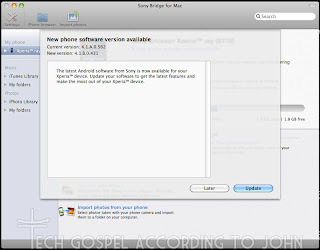 I Wanted a Phone to Match my Macbook Pro, So I Got A Sony. Let me begin by saying, this was a reluctant upgrade. I liked my Xperia ray, it was no speedy performer even back then, but I could tolerate the so-so performance given the size advantage and design of the phone. But with ICS installed, and all the new apps coming in, the 1GHz CPU and 512MB RAM started feeling very sluggish. (For those that don't really run multiple background apps 24/7, and hate the larger phones, the ray is still a decent phone) I needed something current.. but small..er than the 4.5"-5" phablets that are slowly becoming the norm. My daily machine is a 13" Macbook Pro. I love the simplicity of the design, and the feel of the aluminum shell. So naturally, I wanted a phone that matched this design ethos. Which drew me to my last phone, the Xperia ray, which had an aluminum frame and was decent performing Android. 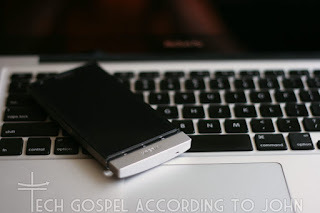 Now, the Xperia P matches my Macbook Pro perfectly, but how does it perform? First the run down. The specs are decent, but not jaw-dropping. There are many phones out there that out-class the P with brute-force. But if there's anything I've learned over the years, specs don't always matter. 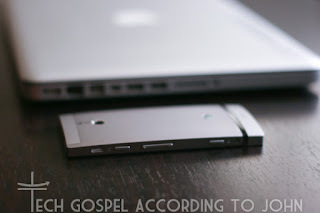 The Design: The aluminum unibody is just beautiful. Bolted to the internal frame of the phone, it feels solid, and smooth to the touch. 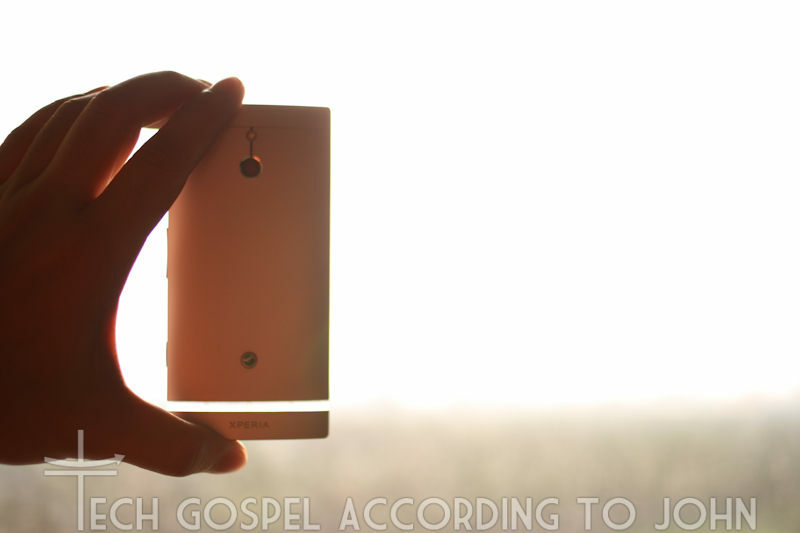 The sides of the phone are graced with the speaker, power, volume and camera keys on one side, and the Micro USB, Micro HDMI, and SIM card slot on the other. 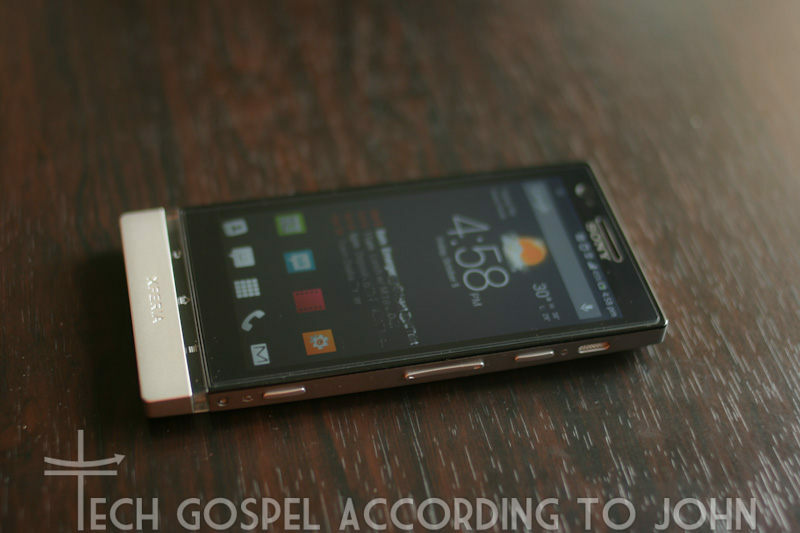 The back has the camera and LED flash, while the top has the standard 3.5mm headphone jack. 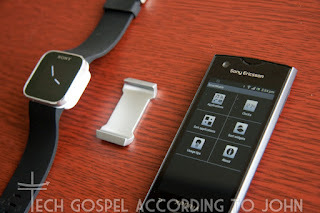 On the lower part, is Sony's love-it-or-hate-it (I love it) transparent light band which houses the 3 Android keys (Back, Home, Menu) and connects to the antenna section at the bottom (yes folks, there's something in that lower part not just an aesthetic piece) The front is jet black for all models (black, silver, red) with the antenna section retaining the unit color (this is a painted plastic cap) below the touch-sensitive function buttons. The Screen: A 4" LCD powered by Sony's "White Magic" technology and Mobile Bravia Engine. The idea behind Sony's White Magic is that the screen contains an extra white pixel that boosts over-all brightness when needed like under direct sunlight, or offers power-savings by being able to lower backlight brightness without making the screen too dim. In practice, it works quite well! The auto-brightness is probably the best I've seen with extremely quick adjustments and very gradual changes, it allowed me to get rid of the auto screen dimming app I had in my ray. The Camera: Sony's Exmor R sensor, and an aperture of f2.4 seem to be pretty standard across Sony's line. 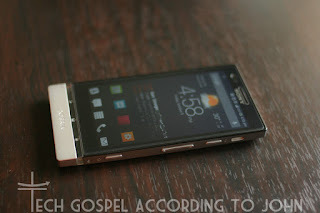 The Xperia P comes with an 8 megapixel version and is nicely recessed within the rear aluminum shell. This gives excellent low-light shots and very quick standby-to-shot time. Sony calls is Quick Launch where the phone goes to a special Camera-only mode when you hold down the shutter key when in stand-by mode. This is pretty handy coming from a phone that didn't have a dedicated shutter key. The whole screen-on-swipe-to-enable-camera was just too slow. 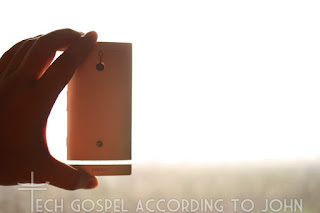 There are 2 modes it can function in, one opens the camera app, while the other opens the camera, focuses, then takes a shot as quickly as possible. The latter mode isn't very good and more often takes blurry shots... use the first one to launch the app, then take the picture after. The Audio: First the good news. 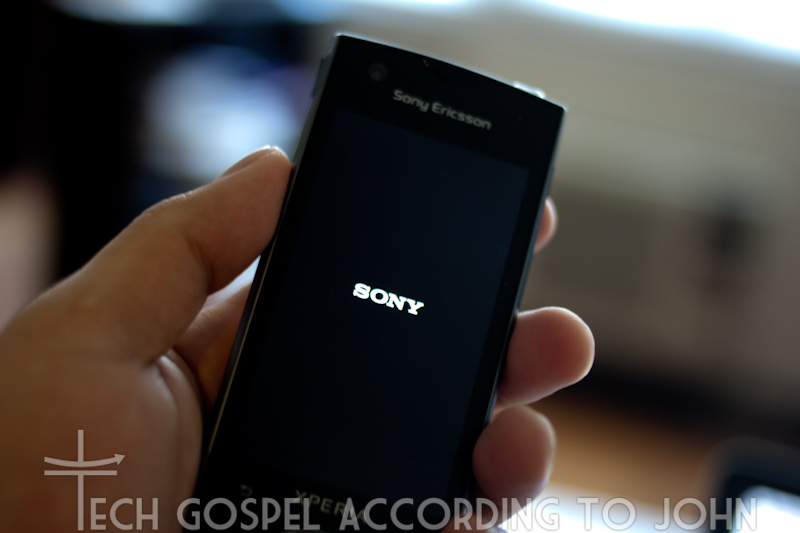 The Xperia P comes with Sony's Official Walkman app. This has much better controls than previous Xperia models. Clear Bass, 5 band EQ, and Surround modes are all present and are quite decent in their features. 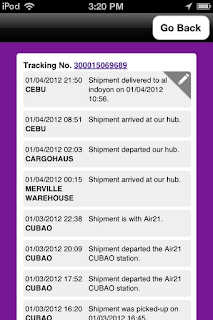 The interface is clean and intuitive, and overall user experience is very pleasant. Now the bad news, internal speaker is quite weak. Weaker than the ray, which was in turn, weaker than the X10 Mini Pro. XLoud, a feature that enhances the external speaker's loudness works, but it makes the speaker louder but a metallic. Unlike the Xperia ray, I recommend leaving XLoud off for the Xperia P. The only good thing about the design of the external speaker is that it's on the side of the phone (instead of at the back like most Sony models). Some people find this weird, but it makes more sense since placing the phone face up usually blocks the external speaker. Having it on the side minimizes chances of it being blocked by a desk, or seat cushion. In real-World use, I have an easier time hearing the P over the ray due to this design call. The Interface: Sony's UX Homescreen has matured over the years. 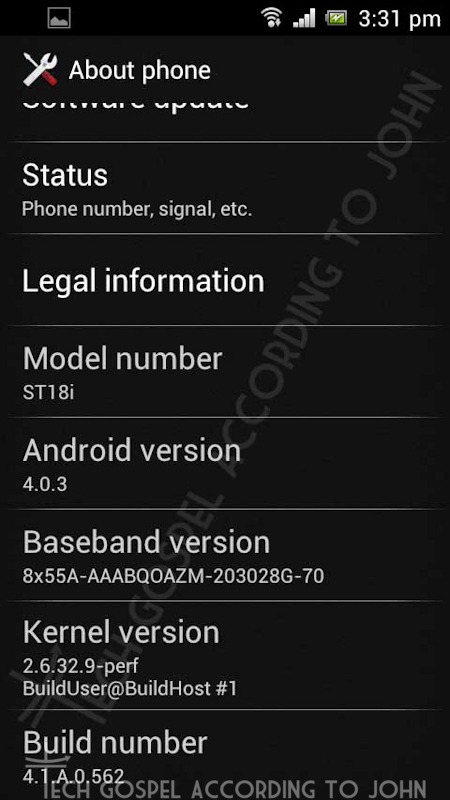 It's a lot smoother and has better integration with Android 4.0. Timescape however, no longer has SMS and Calls as options. 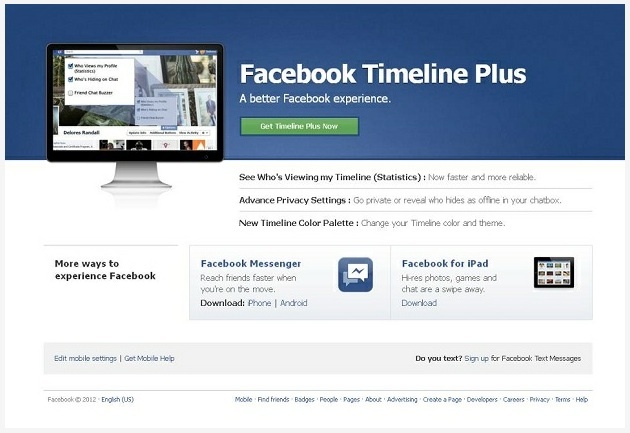 Perhaps users only used Timescape for social networks. Not a deal-breaker. The weather app is quite strange, there are several major cities and capitals missing. Although the timezones are complete, people unfamiliar with one city, aren't presented with alternates within the same time zone. My personal picks for a homescreen is Apex. Others use Nova, or Launcher Pro. 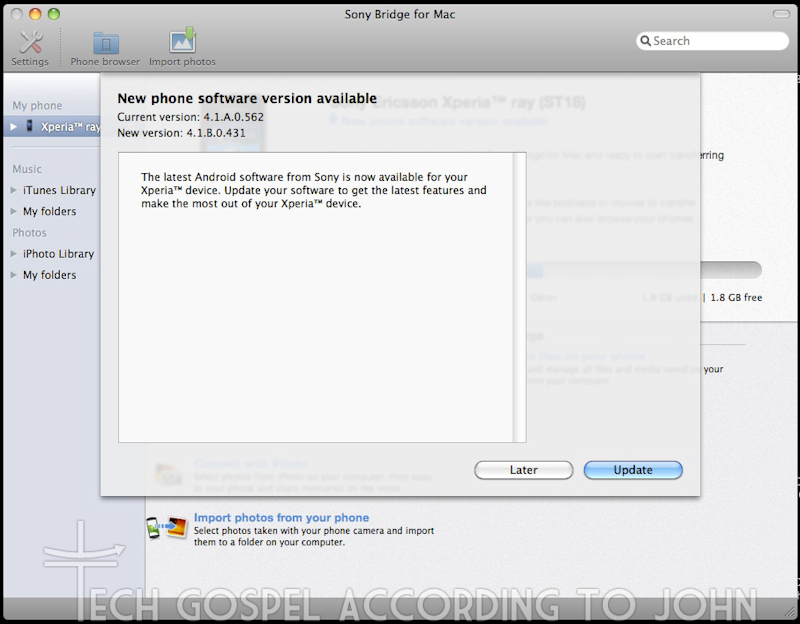 But certain Sony widgets only work with Sony's UX. The Timescape, Walkman, Calendar and weather widgets are only available in the default homescreen. Top Contacts is usable with other launchers. Out of the box, Sony's launcher is very nice. For those looking for more control and customization options, there are tons of other options available in Google Play. 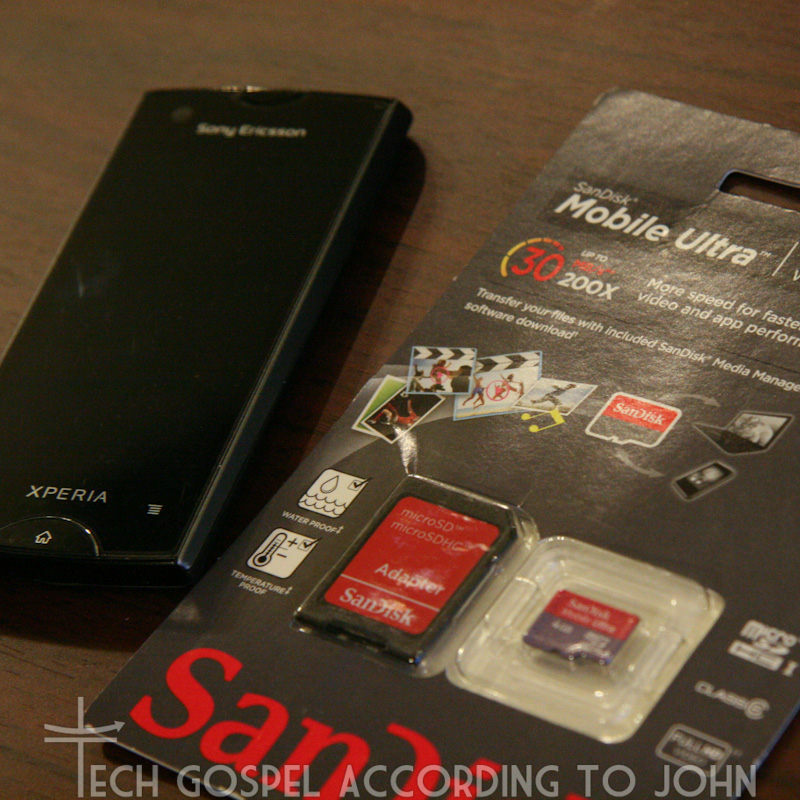 The Initial Verdict: A big step forward from the Xperia ray. The dual core CPU and 1GB RAM make a huge performance difference. For those that may complain about the lack of an SD card slot, take note, SD cards are a lot slower than the built in memory. App performance is very good as is HD video recording, multi-tasking, and video playback. The White Magic screen performs as advertised (there is a slight yellow tinge but this is only apparent in an A-B comparison and is negligible). Battery life is almost 2x that of my Xperia ray despite the smaller battery capacity which makes me believe that the screen is delivering the power savings it has promised as well. A competent mid-level phone with an excellent screen and beautiful aluminum unibody design. A phone that gives you tech that you can actually use on a daily basis, nothing more. For the curious, my next entries will deal with the nitty gritty details: NFC, camera tests, video playback, and HDMI output. "Am I going the right way?" "Where are we all meeting?" Sound familiar? Usual messages we send or receive when meeting up with colleagues, friends, or family (or clingy girlfriends/spouses? hahahaha). But sometimes, it's not very safe or convenient to text or message a location. And some tracking services aren't very good, don't offer a lot of privacy, and worst of all require the creation of an account and everyone you want to give your location to, to sign up as well. So why bother with GPS tracking apps? Well, there are some very valid reasons to allow certain people to track you. Safety, navigation, travel logs just to name a few. But you don't want to leave this open to the public, nor do you want certain people to track you anytime THEY want. Give them a glimpse of where you are, using Glympse! 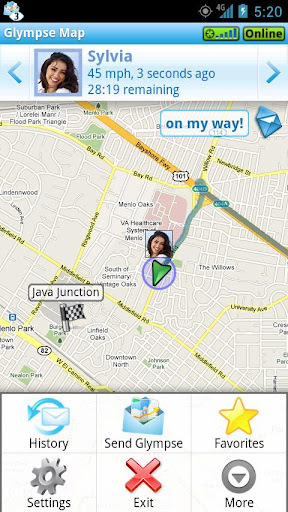 This is an app designed to give your GPS location and movement to a specific person (or persons) for a specific amount of time. In use, it's quite practical for out of town trips, and safety. I'm part of a car club, and we frequently go on out of town trips. Meet up points are useful but sometimes, others may be late or just choose to follow. What happens if someone doesn't know the way? Sending a Glympse to that person allows the app to create a route to your location. No need to input a destination, just click on the link and a route to that person is calculated automatically. Alternately, it will allow that person to send you their location, so you can track their movements and verify that they are going in the right direction or are on the right track. "Am I going the right way? Or did I already pass it?" It's also quite useful for travel safety. Specially in unfamiliar areas, you may want to send a Glympse to a friend or relative so they will know exactly where you are should you need help or if it's critical for people to find you. Like if you're on a long road trip, and your car breaks down or need to be fetched, having sent a link to someone before you head out will make it easier for help to find you. It's quite an efficient app as well, people you send your location to do not need to have the app, just an email address and web browser. If they have the app, it just allows more options, but isn't critical to receive your location. It doesn't drain your battery much, nor does it chew up that much data so don't worry so much about long trips. Give it a try! 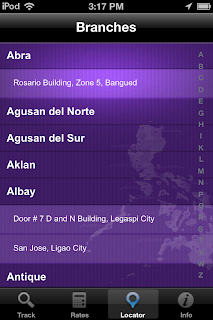 Available for Android, iOS, WP7 or BB! 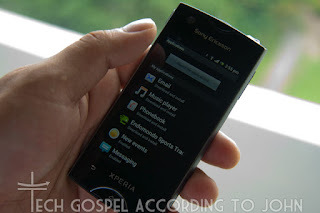 Sony Xperia Sola users will get a cool new "Glove Mode" with their upcoming ICS update! 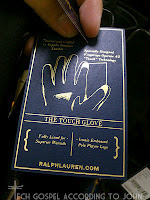 Considering I tested out the REALLY EXPENSIVE Ralph Lauren Touch gloves which sucked... this is gonna be a welcome feature this coming winter! Diane von Furstenberg during Fashionweek 2013 in New York. 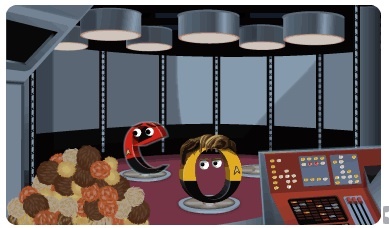 Check out Google's highly interactive Start Trek Doodle! Click here for all of Google's previous Doodles. There are a ton of free ad-supported apps out there. A lot are quite good and more than adequate for most people's needs. So why bother buying an app? To get rid of those tacky ads? Because it's only $1? To support the development for a good app that you like? Perhaps. But the biggest (and best IMO) reason to buy the ad-free version from a good developer is system performance. Every line of computer code that is run, no matter how small, can use up system speed. Even if a free app uses only 0.5% of your CPU to pull an ad, few people only have ONE app installed. Now, there are those that don't use mobile data and think "Well, that's no biggie to me. I don't use mobile data so I don't see those ads". Why not just shut off your internet connection then? Well, you may not see the ad, but now, the app will continue to poll for new ad content continuously eating up CPU cycles and battery life. The app won't stop requesting for a new ad (or stop trying to send user info) just because you shut off your internet. Even more so, it will try more often until it gets to connect to the system. Now, are free ad-based apps all bad? Of course not. But when you use an app quite often, it may be worth the $1 (Gasp, you may have to delay buying that latte) to purchase it. It will de-clutter your screen, improve system speed, and help support the developers that actually make good apps! 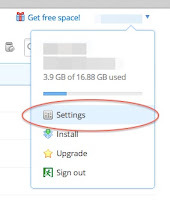 About a month ago, Dropbox, one of the larger cloud storage companies, confirmed that it was indeed hacked. They've now deployed a 2-Step Verification process before allowing any new devices or sessions to access your account. I highly recommend you activate it ASAP if you use their service! 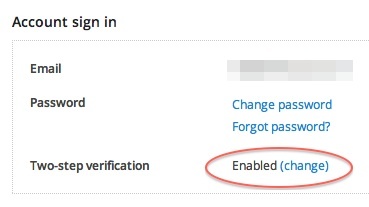 Then scroll down and enable the Two-Step Verification. Make sure you have your mobile phone handy since Dropbox will send you a verification code. Or if you have an Android or iOS device, you may use an authenticator app and scan the QR Code instead. This may be a bit of an inconvenience, but it's much better than having your data compromised. Memory cards are everywhere. Digital cameras, portable music players, video recorders, voice recorders, and mobile phones. Most devices come with free cards when you purchase them. But not all memory cards (or even memory chips for that matter) are made equal. Why is memory class important? It depends what your device needs the memory for. Most music players can work with the slowest memory cards since mp3 playback doesn't demand high speed transfer. On digital cameras, specially DSLRs, a slower memory card will take longer to save each photo taken, thus giving you longer time before the photo shows up on your view screen. Video cameras, specially HD recorders, require the fastest cards due to their continuous data stream which has to be saved as quickly as possible otherwise you risk dropped frames or worse, not having the clip saved at all. 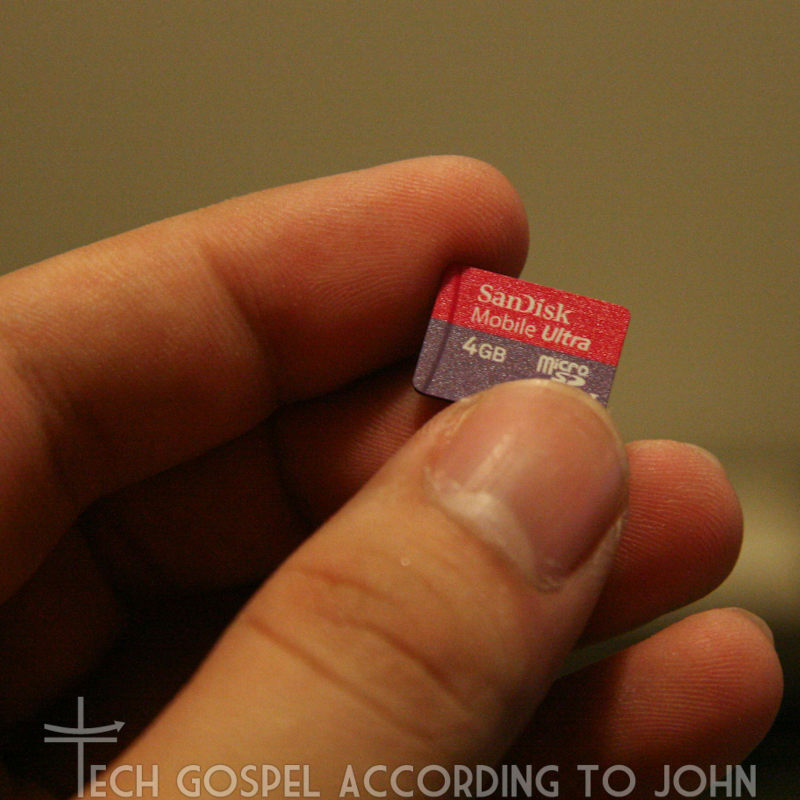 Memory card speeds are usually printed on the card itself or on the box they came in and are indicative of the respective MINIMUM transfer speeds the card can handle. But what about on Android phone? Do they make a real-world difference? Yes they do. Even if your phone doesn't require a fast card, it can usually handle faster data. This in turn has a domino effect on the over-all performance of your phone. If you love to shop online like I do, or just need to send packages to your friends or family in the provinces, package tracking is quite essential. Up until recently in the Philippines, these had to be done on a desktop web browser. 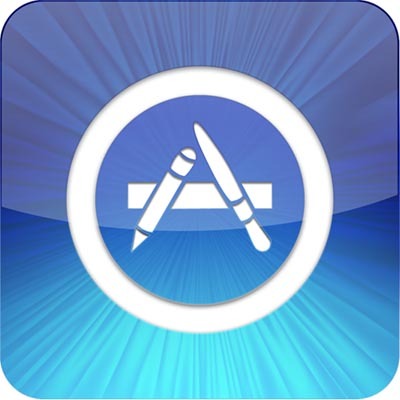 Mobile apps are far more convenient to use and usually more reliable. 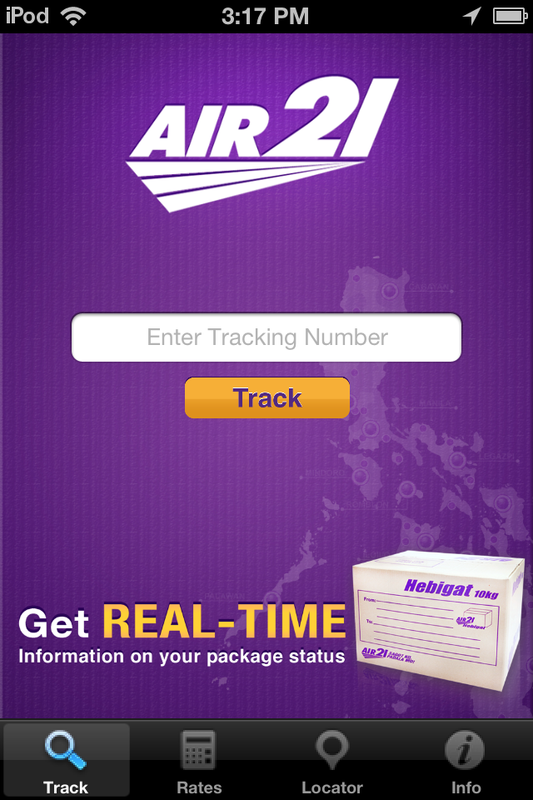 Thankfully, Air 21 and LBC have free mobile apps that offer live tracking and other shipping tools for your convenience. Containing tools and information such as rate calculators and branch locations, it gives customers easy access to the most useful logistic services. Both apps are quite easy to use. 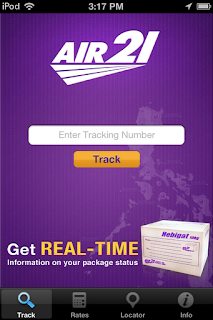 Simply enter the airway bill number and you get a detailed report of the location of your package. While rate calculators are usually accurate, if you have an odd sized package or a very heavy one, it's still best to give the company a call to get a better estimate on shipping costs. Due to the recent storm flooding in the Philippines, I'm posting a very helpful app that allows you to track incoming LPA (low pressure areas) and storms. iTyphoon has a great interface showing both the weather report as well as a tracking map with the current and predicted path of the storm. 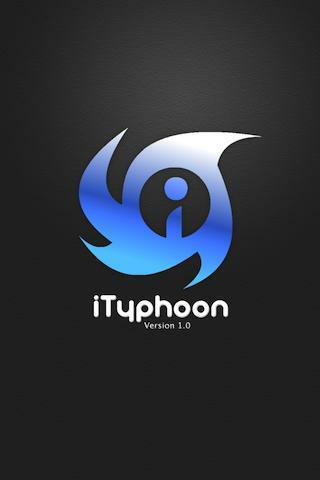 iTyphoon is available for free on both Android and iOS. Head on over to Google Play for the Android version, and the App Store for the iOS version! 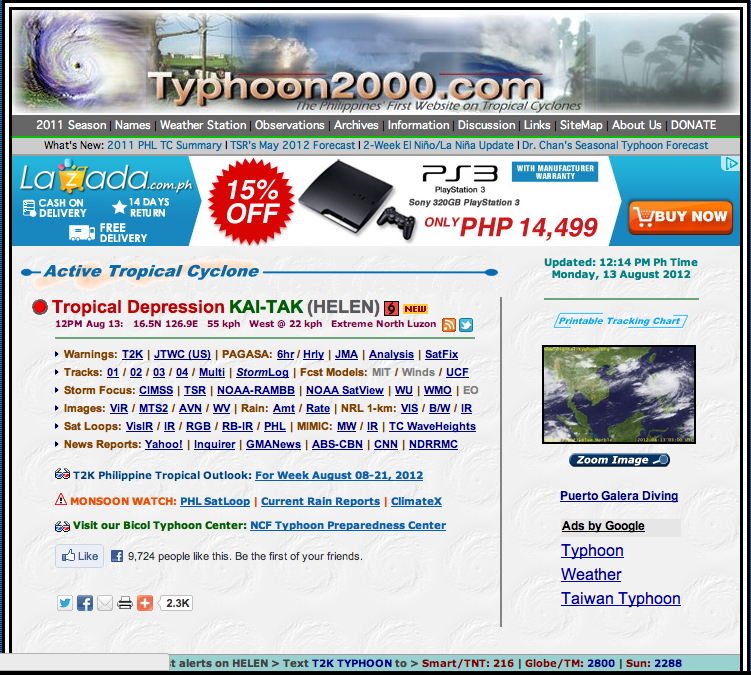 Typhoon2000.ph on the other hand, is a private website that consolidates links and reports from various weather sites and sources in one place. 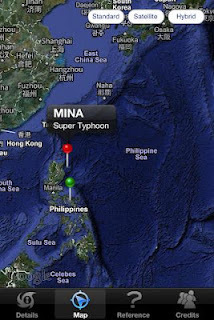 For more detailed reports, and satellite images, this is the place to visit. When you just absolutely need to have your Facebook & Twitter feed ASAP and taking out your phone from your pocket wastes too much time... This is the SmartWatch by Sony (Ericsson). SonyEricsson had 3 versions before this one. The first 2 versions were regular analog watches with small displays at the bottom that indicated incoming calls or texts. The 3rd generation, LiveView, had a color display and touch sensitive buttons (not a touchscreen). The new incarnation is a bit more mature, and packs more features in a tiny display. In it's basic watch mode, it offers 3 time-keeping modes, Default Digital, Always-on Digital, and Always-on Analog. My preferred mode is the analog. I just feel it looks sleeker than the digital counterparts, but that's just me. Although the default version saves a lot of battery life, I'm not too fond of the look. You may download alternate clocks, but none of them replace the built-in ones, so they actually are apps that run parallel to the default clock. Until Sony allows addition clock replacements, I'll stick with their built-in ones for now. Battery life in this mode is approx 1.5 days. Now onto the apps. Out of the box, nothing comes preinstalled, you have to first pair your phone with the watch. Quite an easy task. 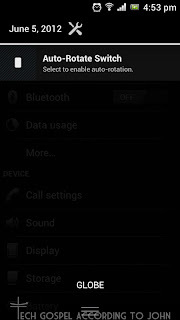 Just enter your Bluetooth settings on your Xperia phone, and search for a new device. Turn on the watch and the pairing automatically begins. 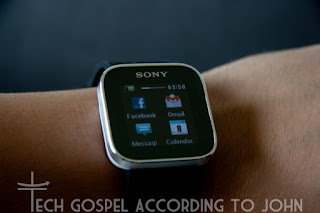 To activate the watch however, your phone must be online as it will connect with the Google Play servers to update the watch software and search for compatible apps. There are currently only a few apps out for the SmartWatch but it seems to be growing quite quickly for such a niche device. The essentials are provided for by Sony, mainly: Gmail, Calls, Calendar, Messages, Facebook, Twitter, & Weather. The other apps available are extensions for Google Maps, Universal IMs, Camera apps, and a few GPS ones. I ended up installing so many apps, that the watch kept buzzing for every single thing I had on my phone. 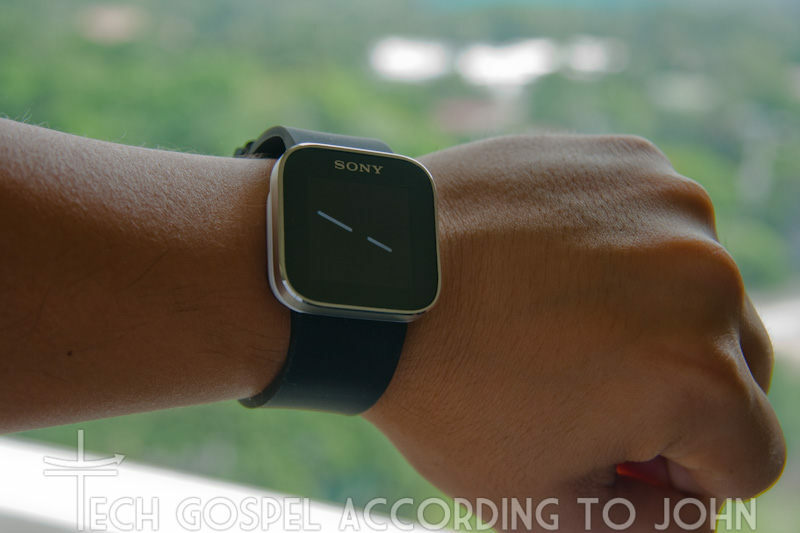 Trimming down to the most frequently needed alerts improves the effectivity of the SmartWatch all together. 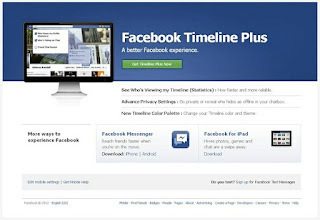 I've personally got mine down to just calls, SMS, only calendar events with reminders, and only a few people on Facebook. Everything else isn't as time-critical. So far, I'm finding this little toy to be more useful than I had thought. I had bought it thinking it would just be a fun gimmick, but I'm actually liking the way it functions! 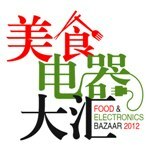 Heading to the Singapore Expo Food & Electronics Bazaar. Will be blogging about my findings there... stay tuned! and leads to entries on Philippine Independence. Click the doodle below to see those links. Ok, you're now on 4.0 ... now what? What's the big deal? Well, I think it's leaps and bounds better than both Gingerbread (2.3) ... why? Well, a lot of little things. And for me, it's the little things that count. First thing you will notice is the sleeker interface. A new font (Roboto) is now system-wide and looks very refined. By default, ICS on Xperia has a bluish/teal look to it, just for highlights and stuff. Animations feel smoother and the phone feels faster over-all. Take note, most performance tests will show that the 2011 Xperia phones run slower on ICS, but it doesn't feel that way. A new lock feature called Face Unlock is added to the Security menu. More of a novelty, it uses your phone's front camera to unlock it. It fails more often than it works, until they develop a better algorithm to process images, it's not really worth using. But it's fun to show off for a few times. The flaw is that any change in lighting or facial angle and it doesn't bother to reprocess and defaults to the secondary unlock mode right away. 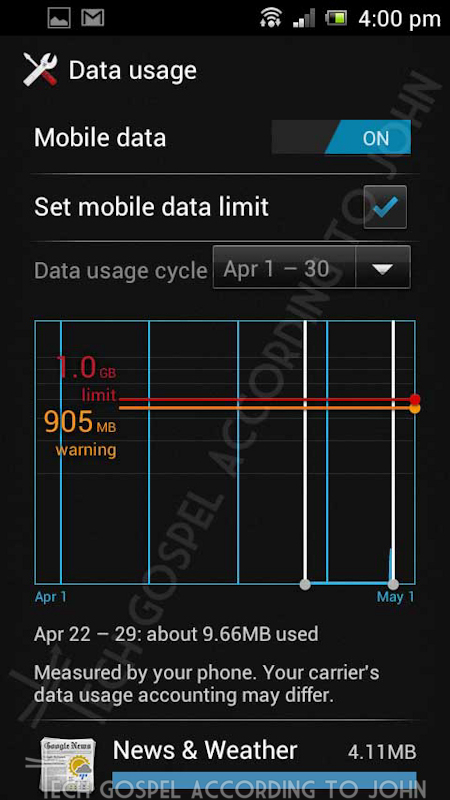 For data hogs, there's now a built in Data Usage meter that also alerts you when you're getting close to your limit. 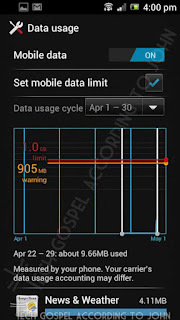 You can allow it to cut off your data when your limit is reached to prevent data charges. And a neat feature seems to be that after a few days, it can plot your average use and will give a projection of data usage for the rest of the month as well! App switching is better too, press and hold the home button for a thumbnail view of recently used apps. You can scroll through recently used (or still running) apps and a small thumbnail of it's previous state is displayed. 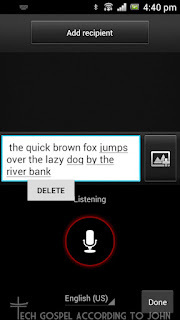 Voice Search is more integrated into the core system now, and can no longer be found as a separate app. It's part of the Google Search widget or app already and functions much better. Assuming a stable 3G (or better) connection, the text transcription now happens as you speak with each word appearing right after you speak it instead of after the whole sentence. This is highly network dependent and not a reflection of Google's voice system. On WiFi this performs reliably enough to not really need the keyboard anymore. As always, this can also be enabled in the system keyboard to allow easy access while typing. 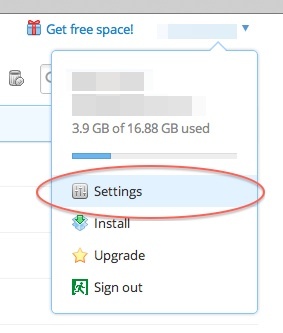 Access to system settings is now made easier through the task bar. 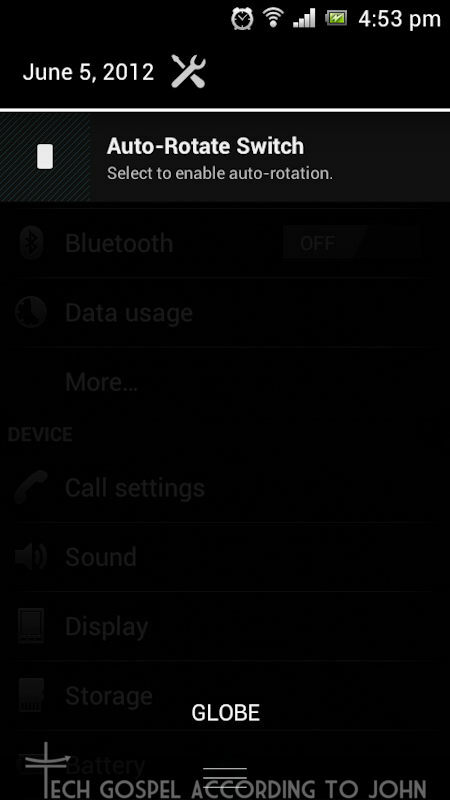 Simply swipe downwards, as if to access a notification, there you will find a shortcut to the system settings. No big deal, there were apps that could do this, but I prefer having small functions like this built into the core system, rather than having an app for it. There are also 2 tweaks that you can do that are hidden in the Developer Options Menu, Animations, and Show All ANRs (Apps Not Responding). 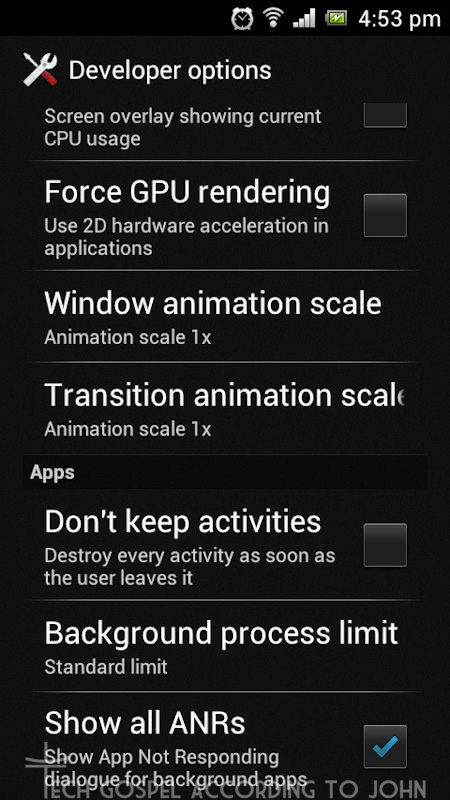 The Animations menu used to be under Display, and has now been tucked away from regular users. 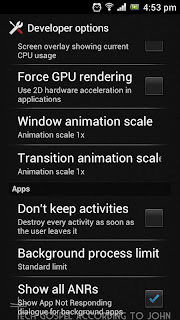 You may set the speed of the animations, or switch them off. I've found that only 1x and off work well. The rest kinda glitch up. The ANR function comes in handy. Usually, when an app hangs, Android shows a pop-up saying that the app is not responding and asks if you want to wait or close it. 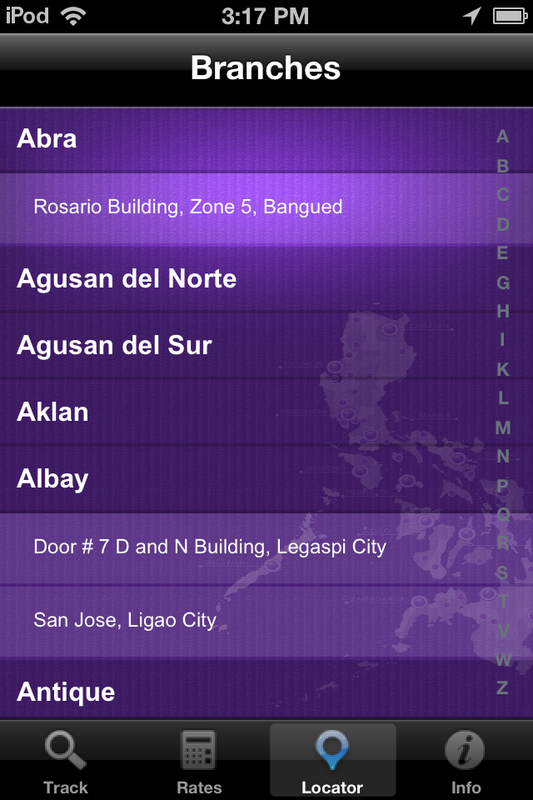 Show All ANRs does this even for certain background apps that are hidden by default (like Viber). 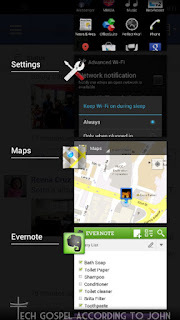 This is quite handy as it functions like a task killer, but only for apps that are hanging. So no need to waste resources with a 3rd party task killer. ICS task management is also way better, I've rarely had any resource problems that would require me to manually kill tasks. It does this quite efficiently and silently. If you have a lot of background tasks, you may get pop-ups from the ANR feature, but ICS can handle this task quite well even when not enabled. I just prefer to be notified and given the option to close the offending app. So far, 4.0 is a big leap forward for Android. The system stability, improved interface, and general tweaks on core functions are well worth the slight decrease in performance over Gingerbread (2.3). I've been using it for a month now and have no regrets upgrading. 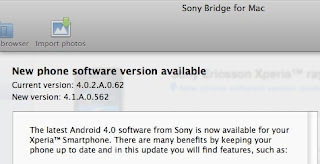 A couple of weeks ago, the official Android 4.0 (codename: Ice Cream Sandwich) update for my Xperia ray was released. 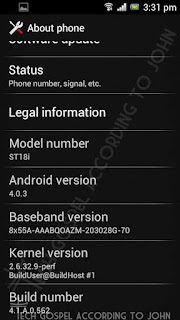 This was a promise by Sony Ericsson (now Sony Mobile) that all 2011 models (Xperia ray, mini, mini pro, neo, neo v, active, and arc) would all be getting an official ICS update. 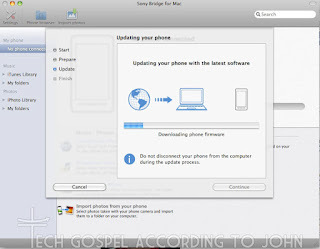 How do I update my phone? Don't worry, it's easier than you think. 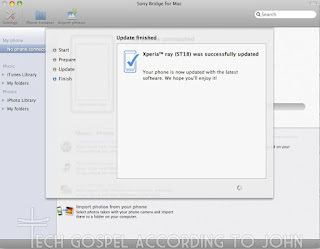 I'm on a Mac, so my screenshots will be showing Sony Bridge for Mac (update your Bridge software, it should already say Sony Bridge, not Sony Ericsson Bridge) For those running Windows, the Companion Software does the same thing, the process is similar, even though the screenshots are different. First, place your phone in Media Transfer Mode (MTP). You can find this in your phone's SETTINGS Menu under Xperia > Connectivity. Don't worry if you started the update without doing this, your phone will give you the chance to do it later on, this just eliminates the extra step. A pop up screen saying that there is new software available for your phone will appear. Click on Update to start. 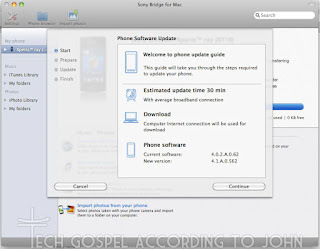 A webpage will open on Sony Mobile's site stating the new features and other information on upgrading to 4.0, you don't really have to read this and can close it to begin the update. That's it! 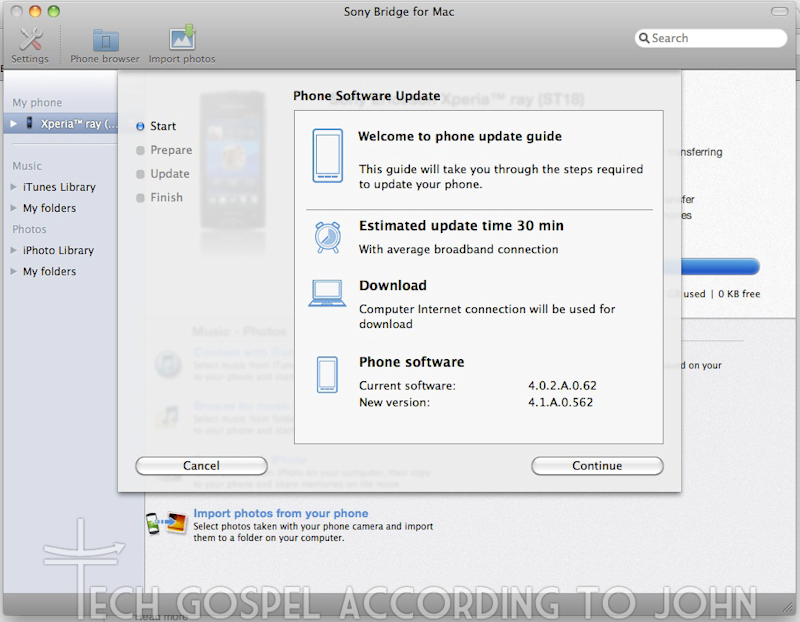 Wait for the update to download and install. The whole process should take about 30 min depending on your internet connection. When the update is done, unplug your phone and turn it on. It will take about a minute for the screen to even come on, this is normal for any major Android software update. Thomas A. Swift’s Electric Rifle. It is named after a novel titled "Tom Swift and His Electric Rifle" written by Victor Appleton. Here's a small FaceTime fix for those of you that may be having connectivity issues over your home WiFi connections. If you recently upgraded to a Wireless N capable router (the older ones were B and G) you may have suddenly noticed erratic behavior when making or receiving FaceTime calls. It's a bit technical, but it has something to do with the "Channel Width" feature found in the newer routers. If you're not comfortable going into your wireless router's menu, then ask someone to help you out. Now your particular model may not have an identical menu as mine, but try and look under the Wireless settings for something that will show a "Channel" function with 20MHZ/40MHZ as the options. Either disable this, or set it to 20MHZ only. 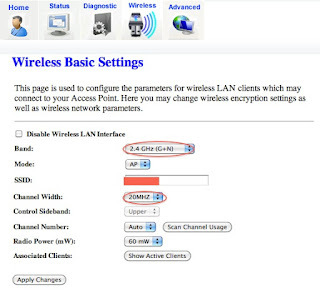 Another thing, if you no longer have any legacy Wireless B devices (older laptops, etc) then disable the B function on the router all together. 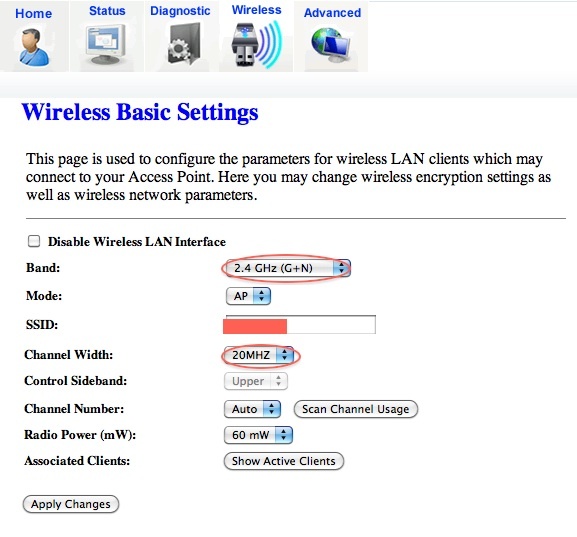 This limits the number of conflicts your wireless network will have scanning and searching for older devices. 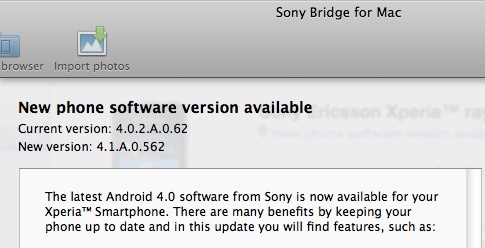 For those of you that own any Sony Ericsson 2011 Android model (Arc S, ray, Neo V...etc) roll-outs for ICS have started. The process is quite simple. Plug your phone into your computer. 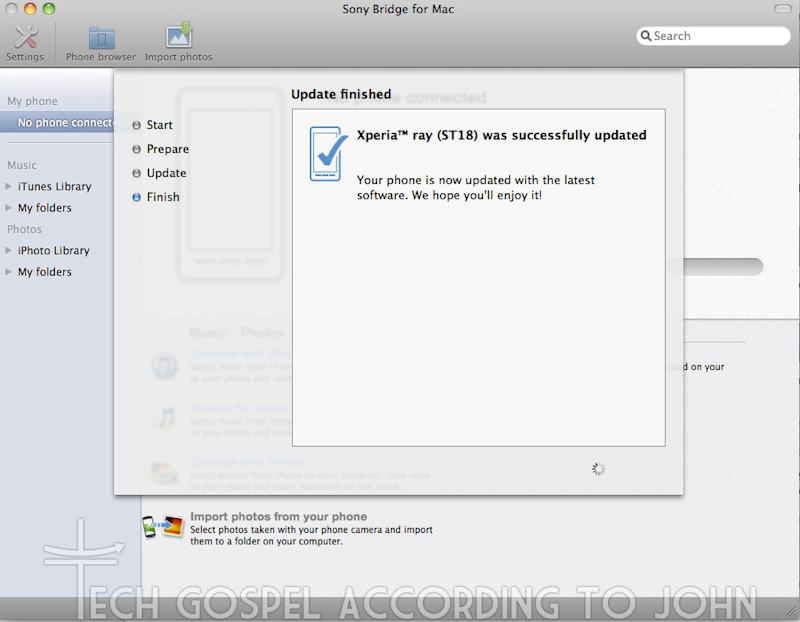 Start up Sony Bridge for Mac (or PC Companion) and it will automatically check if ICS is available. 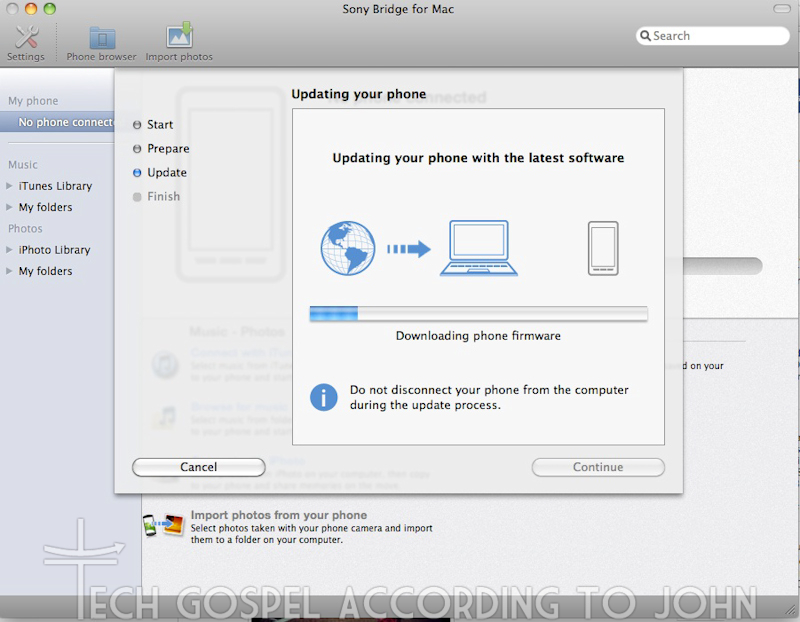 Follow the instructions to upgrade your phone. 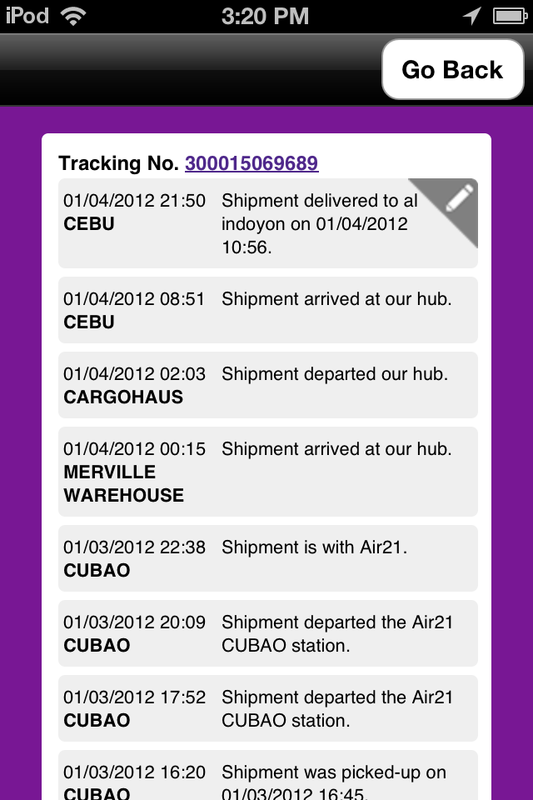 Check your SI Number here to see if an update for your particular production run has already been released!!!! THIS IS A SCAM! DO NOT CLICK OR ADD THIS APP!!!! Touchscreens are the standard for smartphones now. They're fun and easy to use... except during cold weather. I recently came from Chicago where the temp hit -1ºC. Nothing extreme but enough to warrant the use of gloves. 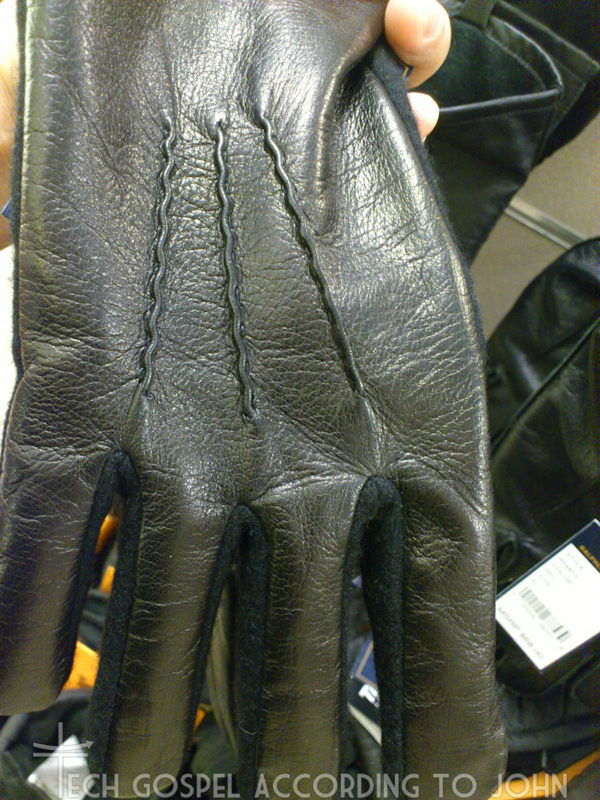 My Xperia ray was suddenly such a burden to use... so I began to search for decent looking touch gloves. Unlike the older resistive screens, which work on pressure, the new crop of capacitive touchscreen need to sense your body electricity to function. 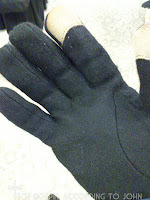 Wearing gloves inhibits this conductivity thus eliminates your phone's responsiveness to your touch. A new market for capacitive touch gloves emerged much like the capacitive stylus. 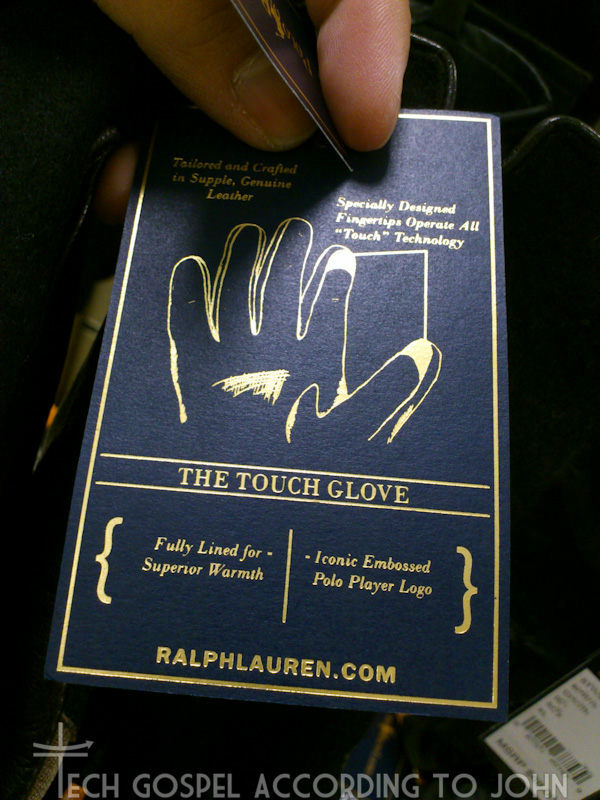 So I stumbled upon Ralph Lauren's Touch Gloves at a mall and tried them on. And sadly, they don't work well at all. The screen responds to a tap, but can't seem to recognize a full swipe all the time. It will work sometimes, but the frustration just makes you want to take off your gloves all together... or just cut the tips off. Final verdict... forget these gloves all together. Absolutely useless. 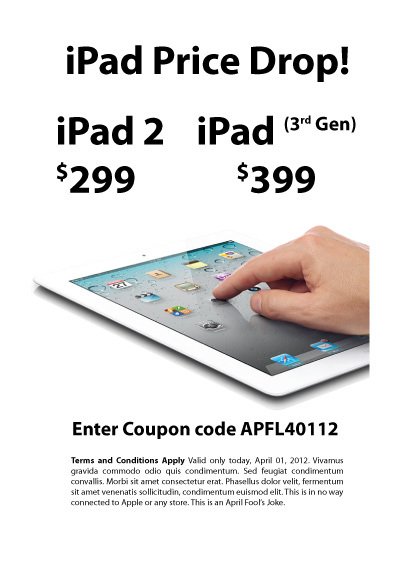 Forget multi-touch. Old news... old school. 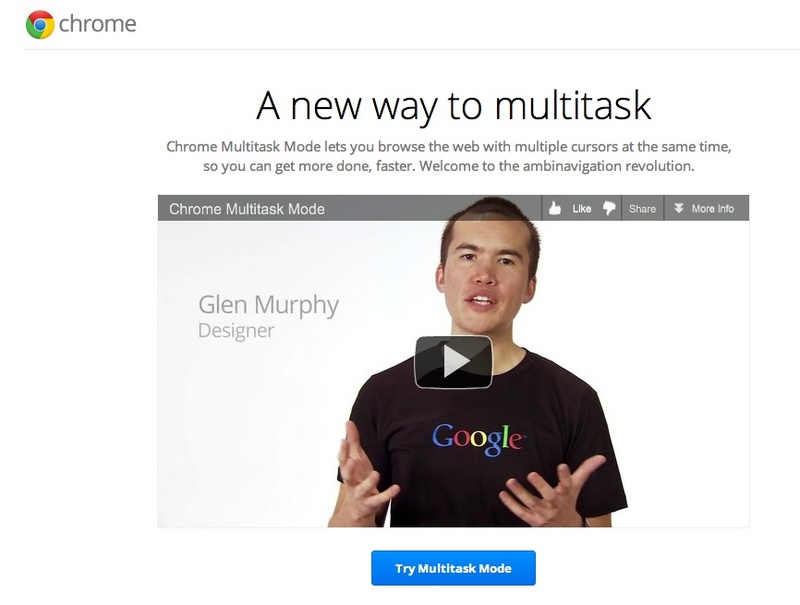 Google has come up with an ingenious Multitask Mode in Chrome that allows you to use multiple mice, running 2 concurrent tasks at once!